locomente...: This is what Indian movies taught me!!! This is what Indian movies taught me!!! am known as a movie buff. 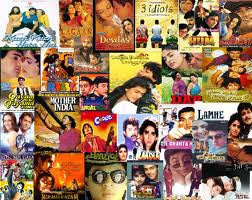 I am a diehard fan of Indian masala movies. I love the typical movies where Hero is heroic enough to be God and the heroine is enigmatic enough to be Goddess. I applaud… I comment… I sit cross legged on the cozy multiplex seats. For me get together and outing can never be complete without watching a movie at a theatre. A song will always be running in the back of my mind. I hum selective songs which could suit my mood and the situations. I pride my ability to recognize the song tunes and rightly guess who composed it, the lyricist, the singer, the movie... and what not!!! I relentlessly boast about my ability to recall the song lines impeccably. Oh… I am a complete movie fan…. And I was wondering... What did movies teach me? Did I learn anything at all? The songs will be shot at the most exotic locations... covered with snow… The hero will be wearing a suite or will be covered with layers o clothing and boots. But, the heroine will be wearing a sleeveless micro mini and sandals. I think it would be wise if I stop now… The list seems never ending… I have learnt so much by watching movies, isn’t it? Well, I don’t deny that there are a few out of the box movies too… I don’t deny that some movies really influence us… That they help us to recognize the characters and travel with them… But, no one can deny that those genres of movies are very less. Phir bhi dil hain hisndustani!!! !